Walker Capital is pleased to announce a swing trading strategy that will be begin being offered Mid October 2016. This strategy is a manual strategy which takes into account technical and fundamental analysis with the use of Fibonacci levels and trends. This will be added to the portfolio’s offered. 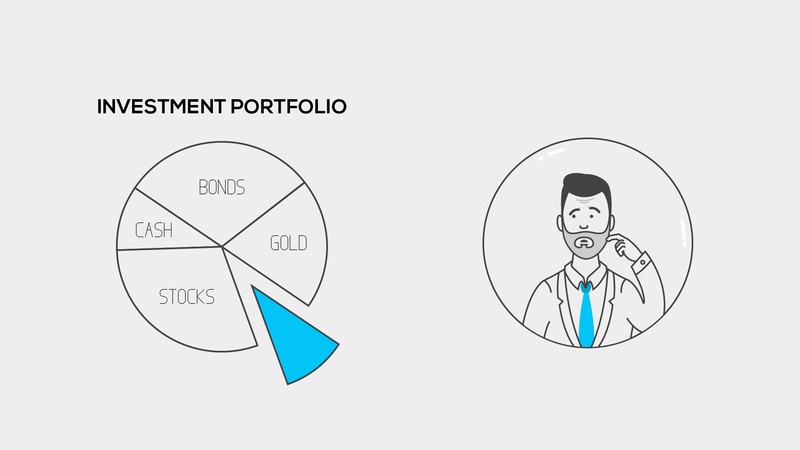 What is a Forex Investment Account and Where Can it Fit in Your Portfolio? Investing in managed funds is a popular strategy for people who lack the time to learn the detailed workings of the markets. It is also a common investment tool for those who want to diversify their portfolio but lack the time and expertise for stock picking. Until recently most managed funds have focused their investments in the stock markets. This is understandable as most managed funds were set up primarily to invest in companies (with tradeable stocks) that deliver capital growth and dividends. But over the past five years a new type of managed investment has been available to investors. Forex investment accounts, which are focused on investing in the forex markets, are growing in popularity particularly for those who want to capture the massive opportunities in the forex markets. The global forex market, which is also known as the currency market, is the largest and most liquid of all the financial markets. It has an estimated daily average trading volume of $4.8 trillion, which means it dwarfs all other markets combined. The sheer size of this market makes it an attractive source of income and capital growth for investors across the globe. But there’s a lot more to the forex markets than its size. Liquidity–as the most traded financial market, the forex market offers almost unlimited liquidity because of the constant stream of buyers and sellers. The forex market attracts a wide range of participants including investment banks, corporate traders and individual private traders and investors. Access to global markets–since the forex market deals with the buying and selling of currencies, transactions usually involve dealing with investors around the world. Trading and investing in currencies automatically gives you the opportunity to tap into international markets, which provides more investment prospects. 24-hour market–unlike stock markets that only operate during usual business hours, the forex market operates on a ‘follow-the-sun’ schedule. The three major financial centres – Asia, UK and the US – which serve as hubs for forex transactions, provide continuous trading operations 24-hours a day five days a week. This means you can trade forex almost any time of the day, not just during office hours. Access to multiple currencies–the forex market gives you the opportunity to capture the price movements in different currencies. The reality is some currencies move faster than others. Then there’s the price difference between currencies, which explains the varying exchange rates. When you’re trading forex, you want to be able to capture the price moves and price difference between currencies as they provide the profit opportunities. Trade long and short–one of big advantages in trading forex is it allows you to trade long or short. In fact, when you enter a forex trade you are automatically going long (buying) one currency and going short (selling) the other one. This means depending on your analysis or view of where a currency will move, you can place a long or short position. For example, if based on your analysis, you think the US dollar will weaken against the Japanese Yen, you can place a short trade on the USD/JPY pair, which reflects your view. This also means you can easily reverse your position (and go long the US dollar) if your indicators show the price movement is going to the other direction. The ability to go long and short is an important consideration for traders and investors as this means you can capture investment opportunities whether the markets are going up or down. Is the forex market for everyone? But despite its size and liquidity, the forex market has not always been accessible to retail investors and traders. This is because institutional traders – including the big investment banks – have been the dominant participants in the forex market. However, the coming of the Internet and online trading platforms has opened up the forex market and made it accessible to retail investors and traders. Though institutional investors still dominate the trading in forex markets, the fact is the number of retail traders and investors trading this market is increasing every year. And why not? As more people seek growth opportunities for their investment, the forex market is becoming more attractive particularly to those who want exposure to global markets. Another factor making the forex market more accessible to retail investors is the growing popularity of forex investment accounts, which are managed by professional traders and investment managers. If you are one of the results-oriented and self-directed investor, you must be familiar with the stock market and managed funds. Investors who don’t have the time nor the inclination to trade shares, but want to generate income and growth from the stock market, usually invest in managed funds. When it comes to the forex markets, using forex investment accounts is the equivalent of investing in managed funds. Using forex investment accounts is a great way to diversify your portfolio. This is because you are tapping into a different market offering high liquidity, global accessibility and numerous income opportunities. The main benefit of using forex investment account is your ability to take advantage of the growth opportunities in the forex market. Even if you are not trading forex (currencies) yourself, you can benefit from the trading opportunities and growth from the forex market. One of the big advantages of using a forex investment account is you have professional traders who do the trading for you. These professionals are the ones analysing the markets, identifying and executing the trades on your behalf. Forex investment accounts are also ideal for investors who want to take control of their financials while not totally being absorbed by the daily grind of the markets. How to include forex investment accounts in your portfolio? Like any other investment opportunity, you need to do your homework. Research and analyse a number of forex investment account managers before you appoint one. The most important thing to remember before you appoint a forex investment account manager is whoever you select will be the one to execute your trades and manage the account for you. This means you need to be fully convinced your forex investment account manager is trustworthy. Track record in the markets – it is wise to appoint a forex investment account manager who has several years of experience in trading the markets. This means a person who has experienced the different phases of the markets and who knows how to handle and manage those situations. Multiple investment/trading strategy – it is important your forex investment account manage has several investment strategies they can employ. This is because markets tend to have cycles which require different trading techniques. Using multiple trading and investment strategies will ensure your forex investment account manager can still capture opportunities in different market conditions. For example, your forex investment account manager may trade only forex majors as a strategy to capture more liquidity. Another strategy would be to trade emerging markets currencies or forex crosses. The most important thing to consider is your forex investment account manager uses multiple strategies because you don’t want to get caught in a market moving against you when you only have one strategy, and it’s not working. Transparency –similar to your other investment vehicles, you should know all the numbers relating to your forex investment account. For example, if your manager is charging commission or a monthly fee to manage your account, these should all be explained to you upfront so that there won’t be any surprises. A forex investment account is another investment vehicle that could be part of your overall portfolio. As such, you can allocate a certain portion of your investment capital to it. This will ensure you have diversification in your overall investment while gaining access to the world’s largest financial market. As you can see, the forex market is a massive one offering many investment potentials. Like the millions of investors who are participating in this market, you can also grab these opportunities as part of your investment portfolio. And if you believe a forex investment account is the best way to be involved in the forex market, there are forex investment account managers that can help you in the process. The pip value needs to be calculated with the currency outcome in mind. Currency pairs can be segmented into direct, indirect and cross currency pairs. To make it easier for traders we have created a position and lot size calculator. Our Managed Investment Accounts aim to achieve high returns p.a. Starting in Forex and CFD trading? There’s more to trading than just two colours and luck. Trading with this mindset, is a very long AND expensive road. A road we’d never wish on our clients. 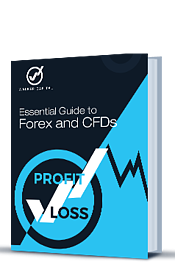 Get our essential Walker Capital Forex & CFD beginners guide before risking it. This guide will show you everything there is to know about starting in the Forex & CFD trading. Technical Analysis: 10 rules of technical training.